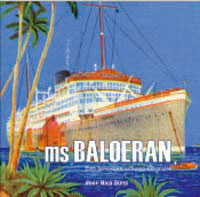 Baloeran - meherbabatravels jimdo page! 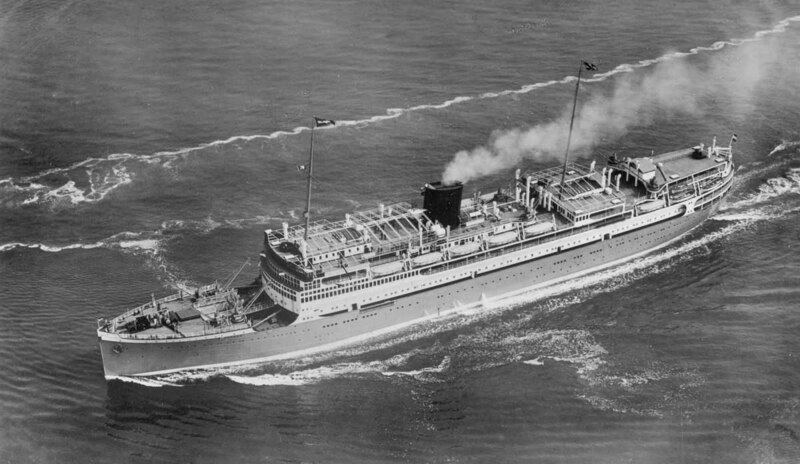 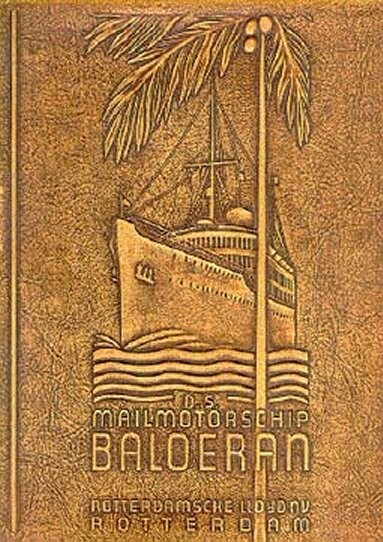 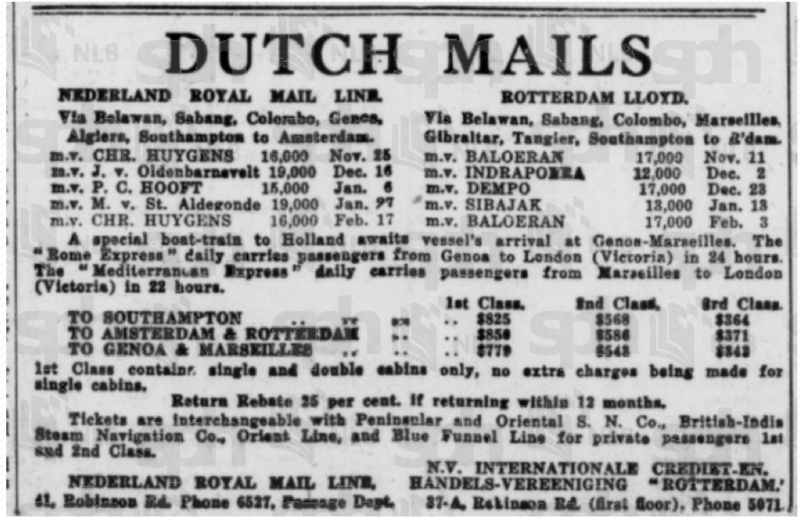 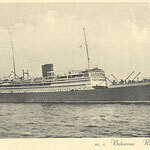 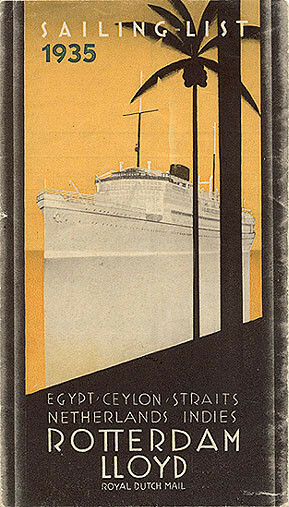 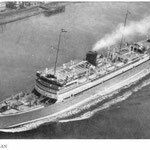 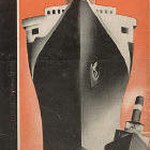 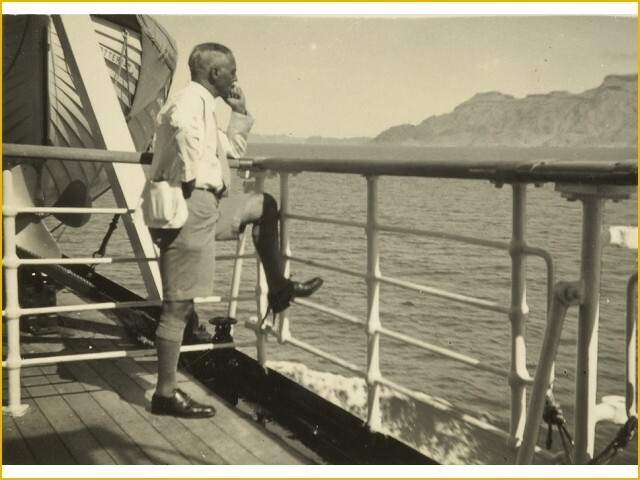 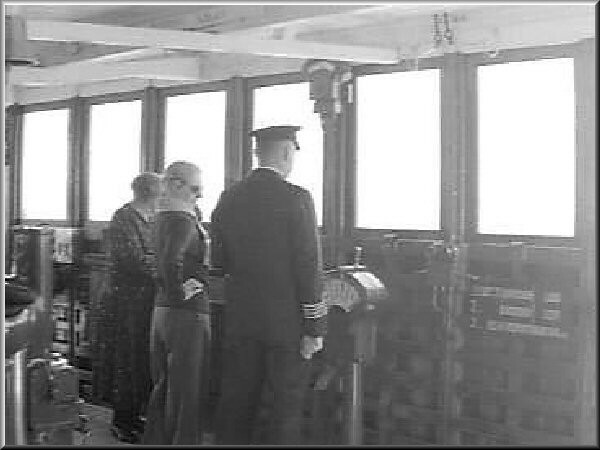 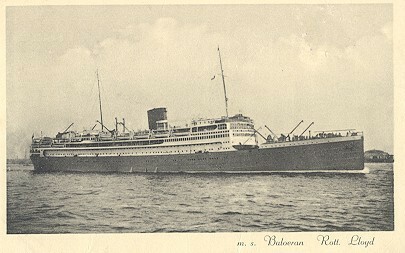 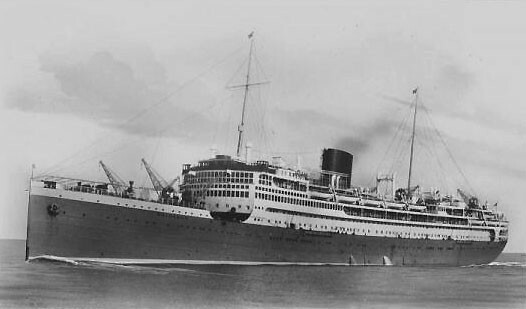 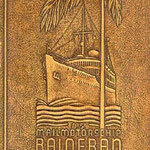 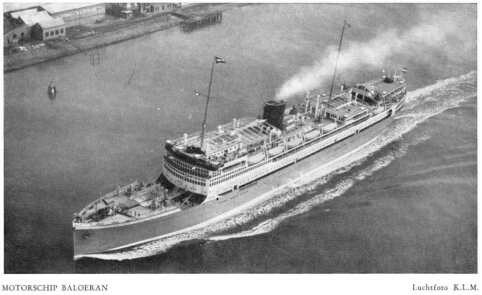 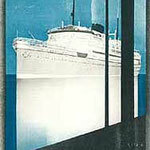 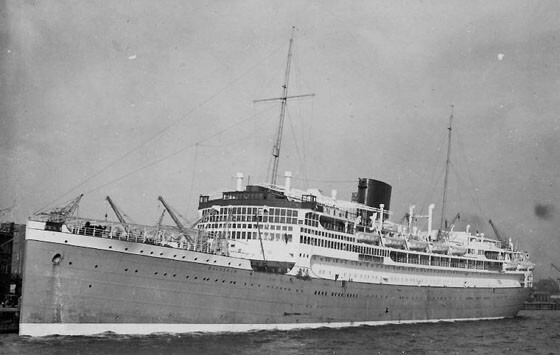 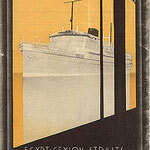 S.S. Baloeran bound for Ceylon. 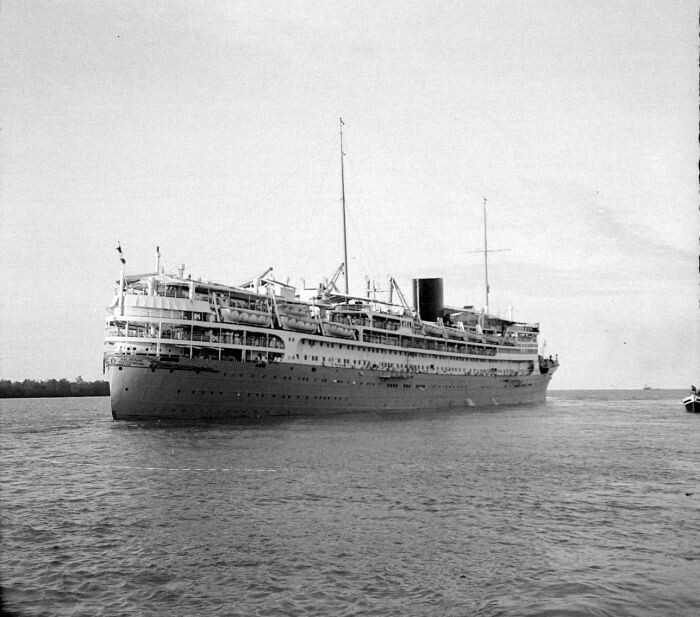 During the voyage, Baba asked Quentin Tod if he had noticed anything unusual about a Dutch girl who was travelling with her family. 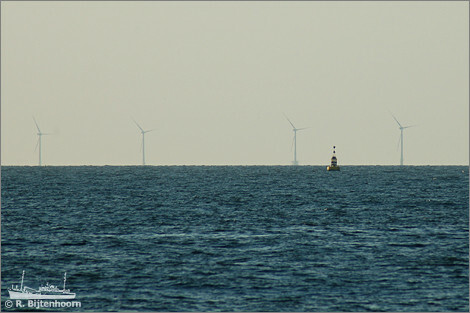 Tod at first noticed nothing out of the ordinary, but he then saw that she walked with a limp. 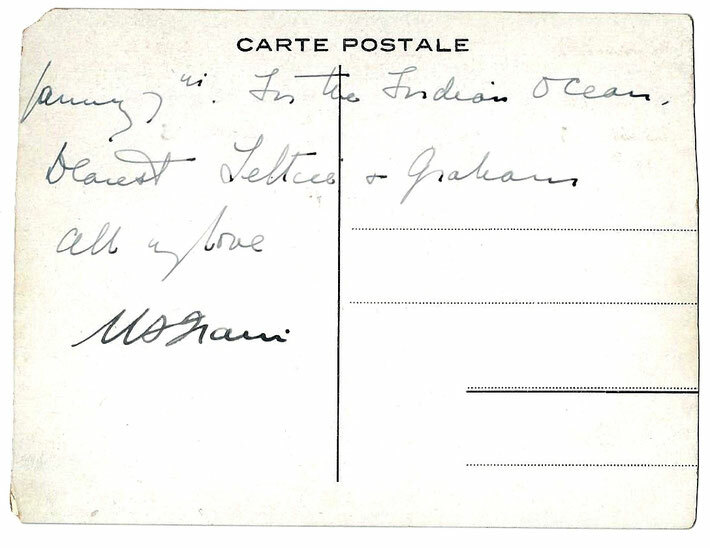 Baba explained, "Many, many years ago in India, she was a yogi. She was then in a male form. 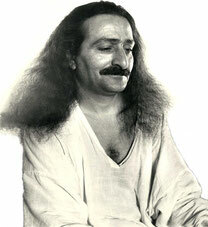 While attempting to attain a higher state of consciousness through fasting and meditation, he had a stroke and died. 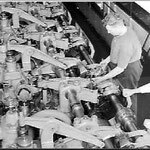 In every incarnation since, he or she has limped. 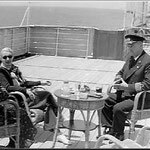 In order to free her from this affliction, it will be necessary for me to win her affection." 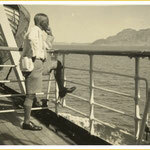 Baba proceeded to gradually draw the girl toward him. 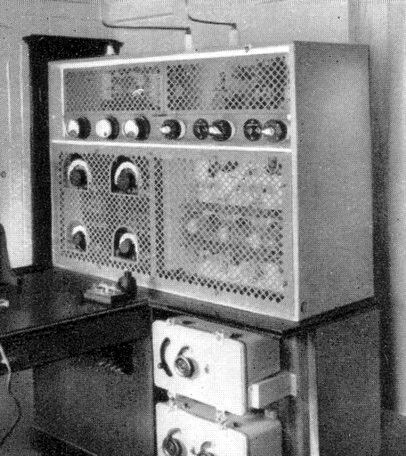 She spent more and more time with him each day, playing ping-pong and draughts. 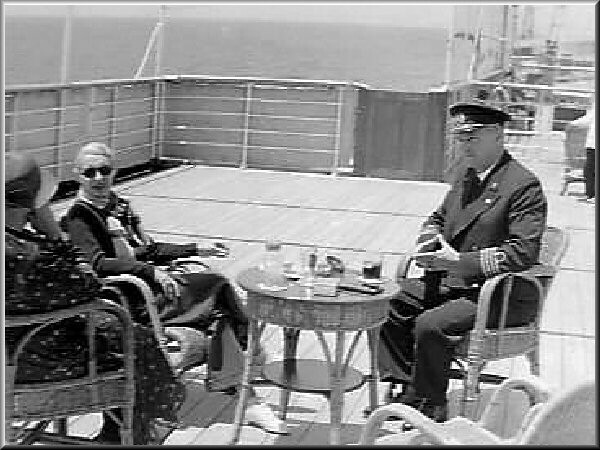 By the end of the voyage, a marked improvement in her health was noted. 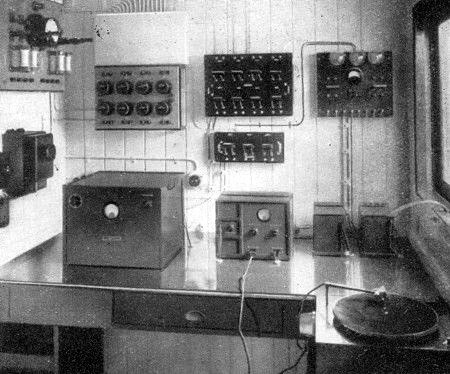 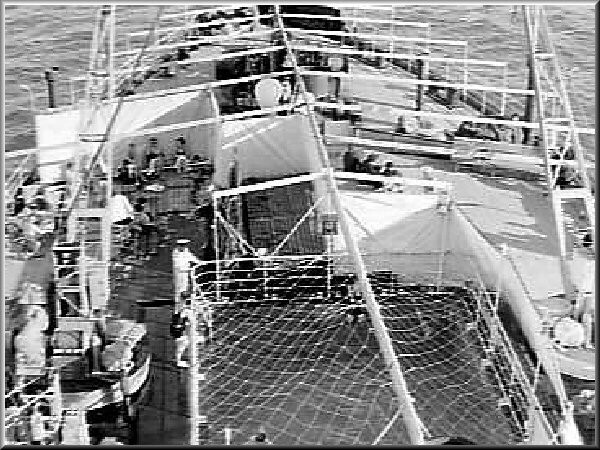 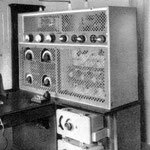 It was one of several ships used by Marconi for his experimental broadcasts. 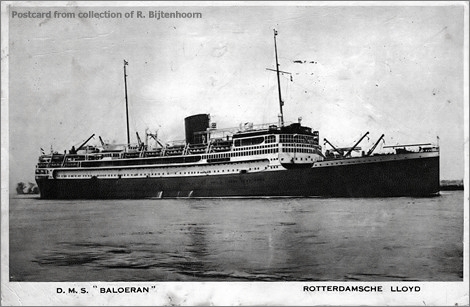 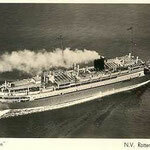 An overhead view of the Baloeran under steam, taken from a postcard produced by its owners. 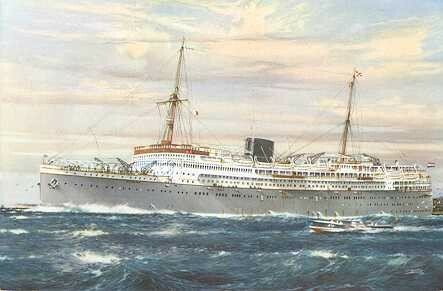 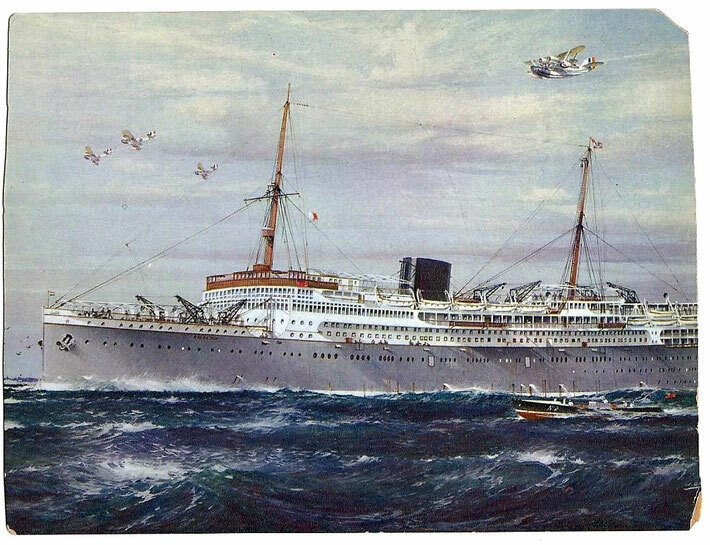 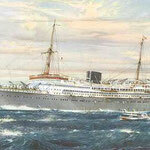 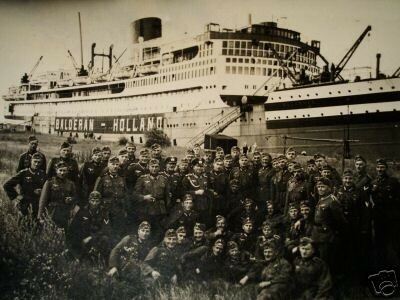 On May 11th 1941 during the invasion of Holland the ship was captured by the German Navy and renamed MS Strassburg, serving as a hospital ship. 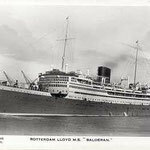 On September 1st 1943 the Strassburg collided with a mine off Ijmuiden whilst on a voyage from Rotterdam to Hamburg and was beached. 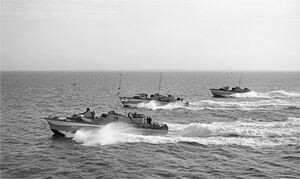 Three weeks later British bombers (or torpedo boats?) 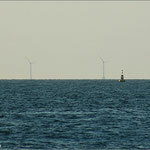 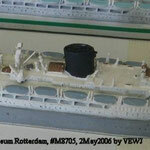 set the vessel on fire, becoming a total loss (wreck site 52.32.63N, 04.32.35E), preventing salvage of the wreck. 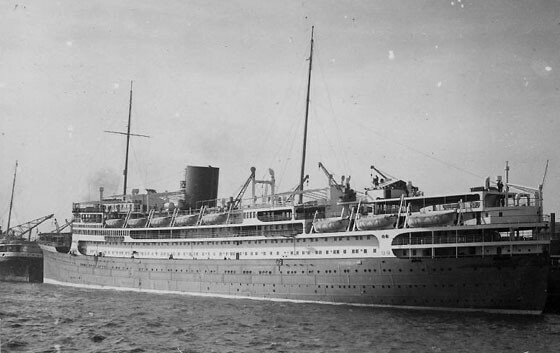 One source says the ship despite is hospital status was equipped with anti-aircraft guns. 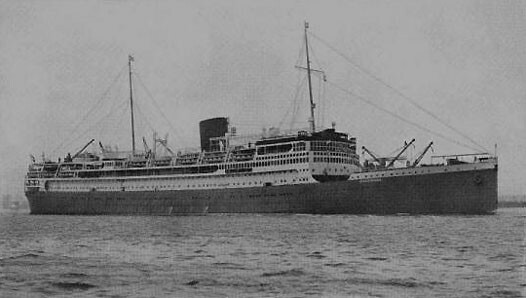 Sister ship 'Dempo' built by De Schelde, Vlissingen. 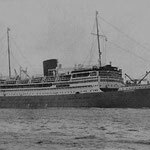 Torpedoed March 17th 1944 near Algiers during the Allied invasion of North Africa. 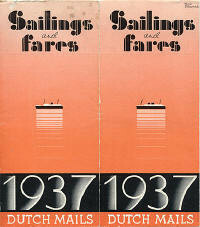 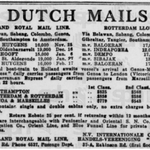 Passengers: 236 1st class, 253 2nd class, 30 3rd class, 68 4th class & 27 convertible to 1st or 2nd class. 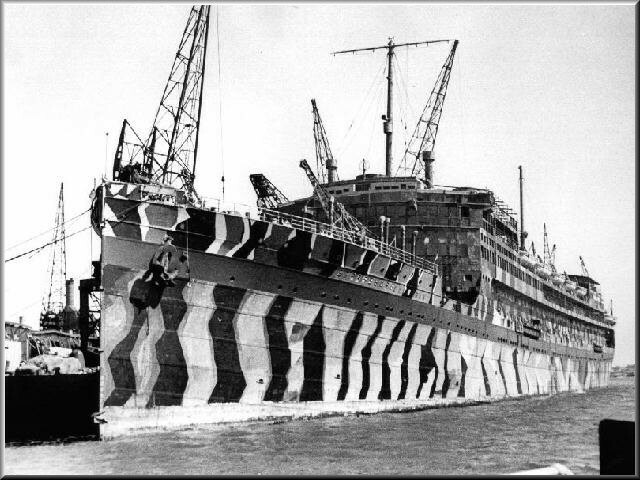 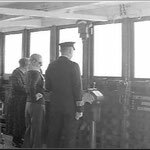 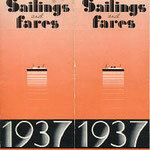 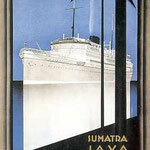 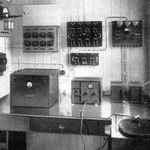 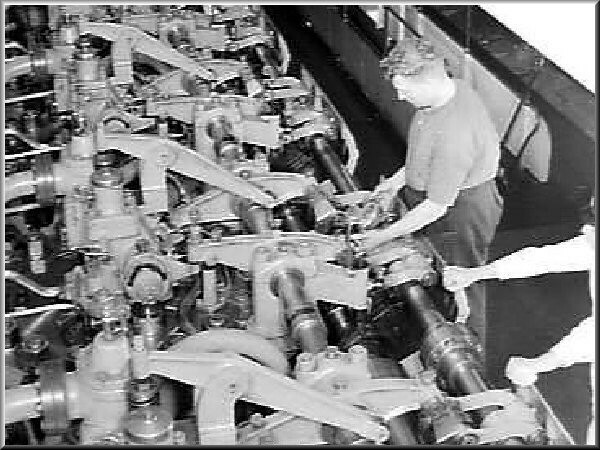 1940 at the start of WW2: The ships was used as an electricity generator. 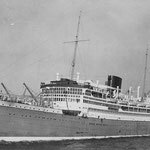 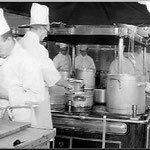 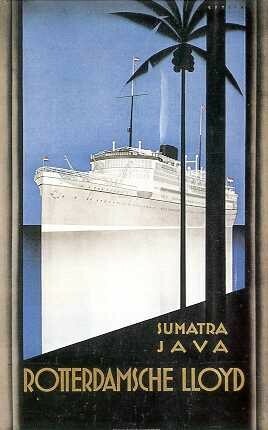 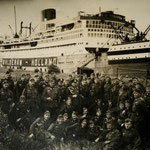 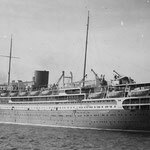 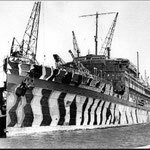 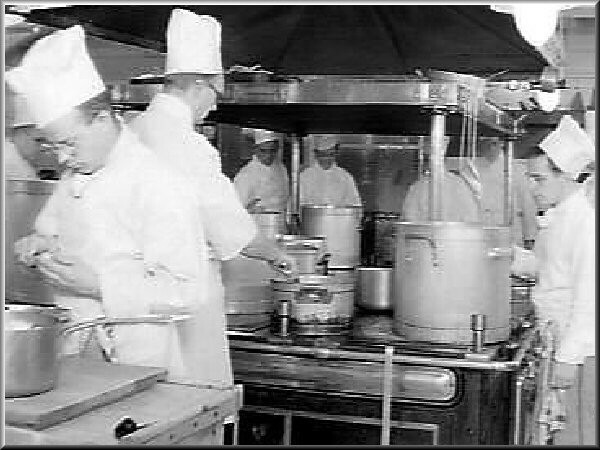 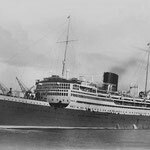 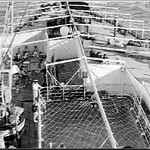 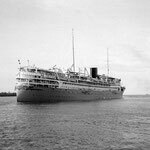 20 july 1941 til 30 may 1943: In service as a hospital ship (500 beds + 161 personnel); mainly between German and Norwegian harbours. 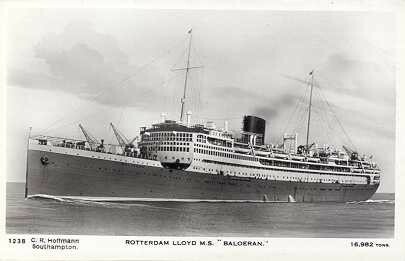 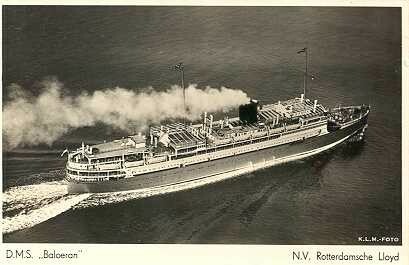 1 september 1943: During a voyage from Rotterdam to Hamburg she collided with a mine, west of Wijk aan Zee (52°30' NB - 4°30' OL) and was beached 1.3 miles north of the Noordpier of IJmuiden.